The Black Eyed Peas have made a great song from a good question... the picture is from RAW delegates who showed solidarity with the poor and the increasing homeless crowd in Vancouver... demonstrating for justice. 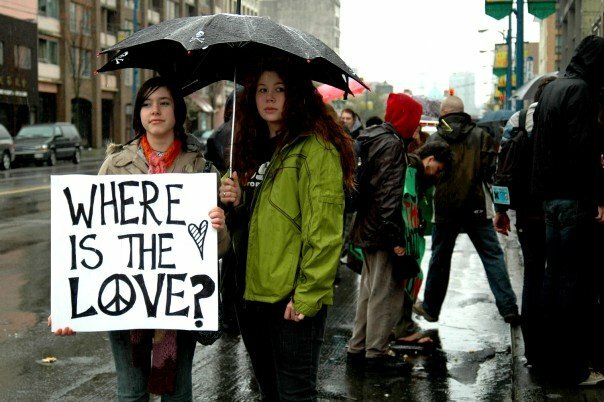 "Where Is The Love?" - maybe we should ask this question more often!